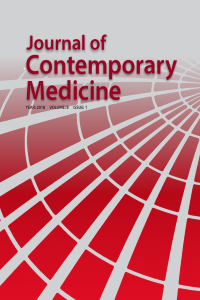 Journal of Contemporary Medicine provides open access for academic publications.
. The journal does not request any charges for article processing or article submission. There is no charge for readers to download articles, case reports and reviews for their own scholarly use. Dahil olduğumuz Dizinler (indeksler) ve Platformlar sayfanın sağ alt kenarında dizilidir.